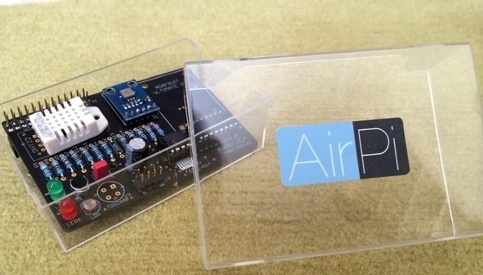 AirPi is an plug-and-sense, low cost weather station. It works as a shield for the Raspberry Pi, gathering data about temperature, humidity, air pressure, carbon monoxide, nitrogen dioxide, light levels, noise levels and even more. In this article we'll connect the AirPi Kit to the Ubidots cloud, creating a connected WiFi weather station. If you have your Airpi already assembled you can skip this step. If you don't, we recommend this guide. 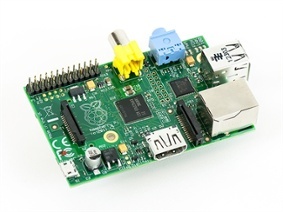 You should've already configured your Raspberry Pi with Internet. If not, follow this guide, or check this blog post about setting up WiFi. You'll need a Ubidots account. If you don't have one, create an account here and take note of your Api Key found in "My Profile --> API Key". Add a "#" character before the line spi-bcm2708, then press CTRL-X, type Y and Enter. This enables SPI from the boot. This script creates a data source called "AirPi" inside your Ubidots account, as well as individual variables for each sensor. Then it will continuously post the envirnomental data to Ubidots. Now visit your Ubidots account and you will find the live data from the AirPi! Once your data is in Ubidots, you can create a real-time dashboard, SMS/Email alerts (i.e "Shoot me an Email when the CO concentration is too high!") or read the data through our API in order to build more advanced applications. Do you have sensor applications in mind? click below to get started. Originally published on Ubidots Blog on July 16, 2014.